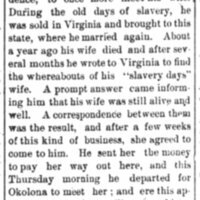 Thompson and Owens enslaved on same plantation in Morgan County, Tennessee. 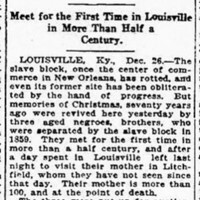 They were separated during the Civil War but reunited in Louisville, Kentucky, in 1894 and married there. 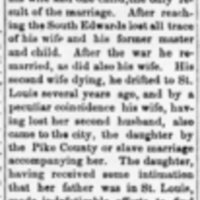 Edwards and Gibson had been enslaved in Pike County, Missouri. 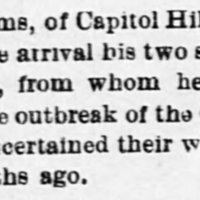 Edwards was sold South 35 years earlier [ca 1853]. 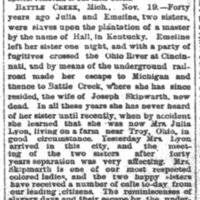 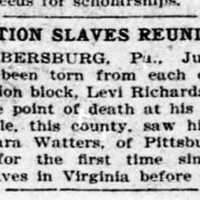 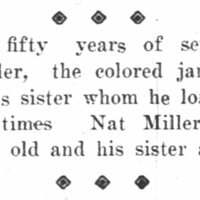 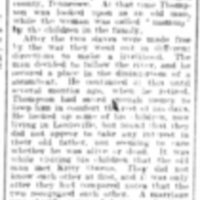 They reunited in St. Louis, Missouri, in 1888, and remarried then. 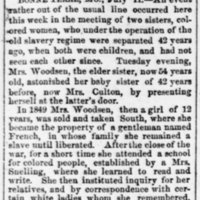 Freeman was sold in Dover, Tennessee, in 1863, during the Civil War. 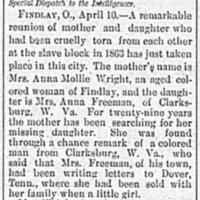 Reunited with her mother in 1892.